Is Your Personal Injury Settlement Taxable? When accident victims settle their personal injury claims, one of the first things that many want to know is, “Is the personal injury settlement taxable?” It is a reasonable question, as Uncle Sam does have his hands in most pots, including one’s income, lottery winnings, and in some states, even alimony payments. If you are worried about whether or not you have to pay taxes on your award, worry no more—the answer is most likely not. Fortunately, Section 104 of the U.S. Tax Code prevents taxation on personal injury settlements. Prior to 1996, all damages for “personal injuries” were tax-free, but the IRS soon discovered that waiving taxes for “personal injury” was a bit broad. 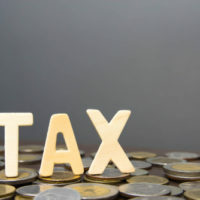 Until the entity changed its code, recoveries for injuries such as defamation, rude comments, and sexual harassment were also considered tax free. After 1996, however, the code emphasized that injuries must be purely “physical” in order to obtain a tax-free recovery. Attorney fees related to the claim. You may be wondering how compensation for damages such as “pain and suffering” and “emotional duress” can be tax free if you cannot physically prove them. If such damages stemmed from a physical injury, then they are considered to be one with said wound. Of course, as with all matters pertaining to the law, there are exceptions. For one, all damages for injuries or sickness associated with a breach of contract lawsuit can and will be taxed. Same goes for punitive damages. Because punitive damages are awarded to punish the defendant rather than compensate the plaintiff, the IRS has no qualms about taxing the money, as it was really just a bonus award. Additionally, if your settlement accrued interest, be aware that the interest amount will be taxed as well. When it comes to your personal injury claim, it is understandable for you to have a lot of questions and concerns. After all, this is a very stressful and emotionally trying time for you. Not only do you have to cope with your injuries, but also, you have to worry about how you are going to cover your living expenses and come up with enough money to pay for your medical bills. The last thing you want to think about is how you are going to come up with money to pay an outstanding tax debt. Fortunately, chances are that this is not something you have to worry about. Whether you are concerned that your personal injury settlement will be taxed or have any other questions regarding your case, reach out to the knowledgeable legal team at Spencer Morgan Law for detailed answers to your questions. Call our Miami personal injury law firm to schedule your free consultation today.